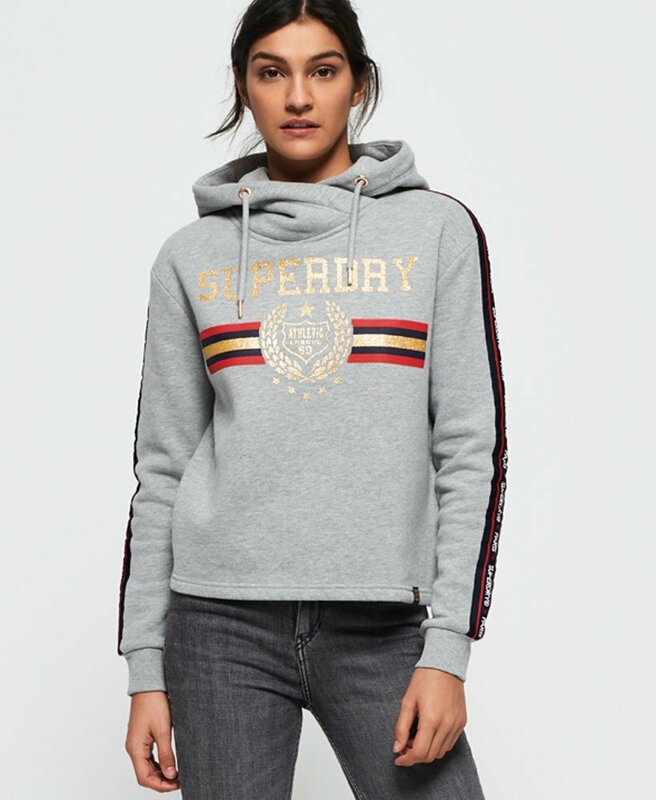 Superdry women’s Gia tape hoodie. Add some subtle sparkle into your wardrobe this season in the Gia hoodie. It features a cross over draw cord hood, a Superdry logo across the chest and ribbed cuffs for a comfortable fit. In addition, this hoodie also has a super soft brushed inner lining that will keep you cosy all season. To complete, this hoodie has stylish Superdry taping down each sleeve and a Superdry tab on the hem. Style this hoodie with joggers to channel the athleisure trend or pair with jeans and trainers for an easy everyday outfit.